RANGER-Wendy Vecchi Designer Series: Archival Reinkers. 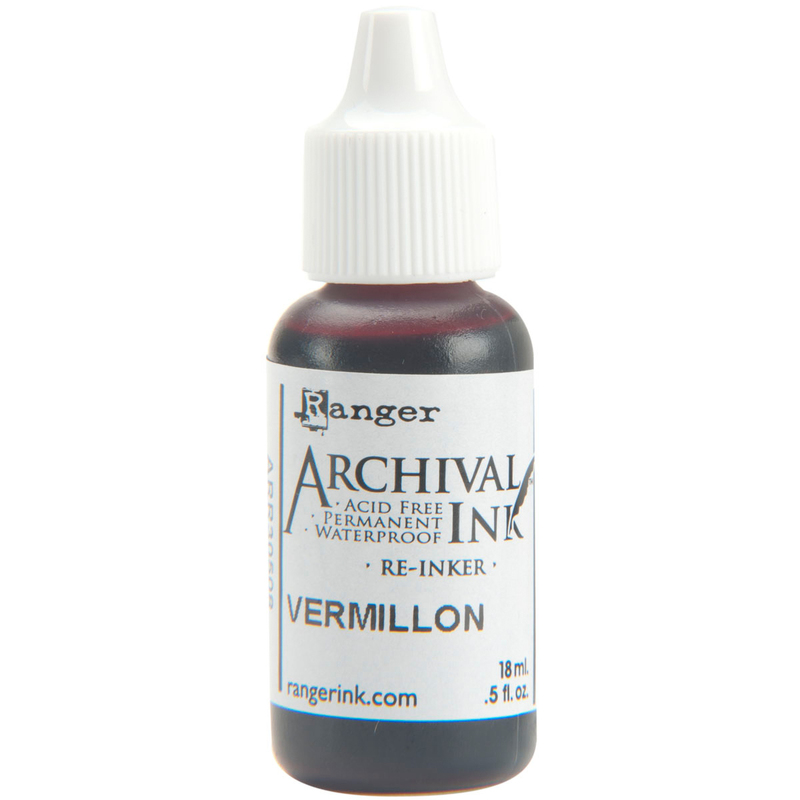 Use this to refill your Archival Dye Inkpads. This package contains one .5oz bottle of ink. Available in a variety of colors, each sold separately. Ink is acid free, permanent and waterproof. Conforms to ASTM D 4236.